The African National Congress (ANC) is a petty bourgeois party that is against African students. We are in a crisis of imperialism where imperialism is being challenged by the colonized masses all around the world, including in South Africa. The crisis in South Africa is ripening. It inspires the students. The South African petty bourgeois or middle class is attempting to take students away from the African working class and prepare them to join this same petty bourgeois class. Aligning with the petty bourgeois class ultimately means aligning with the oppressive State and imperialism. The African Socialist International believes that African students must function in the interests of the African working class. We must build the ASI as a function of fighting strategically and for long-lasting purpose. The ANC and other neocolonial forces like it are sending the State and agents of the State to poison the resistance of the students before it reaches organization. These institutions are centres of production and reproduction of bourgeois colonialist ideas––unless organized under the African working class, students will work against the masses. African students must be won to a permanent place in the Revolution. The Fees Must Fall movement is in danger as long as it is not led by advanced revolutionary theory. 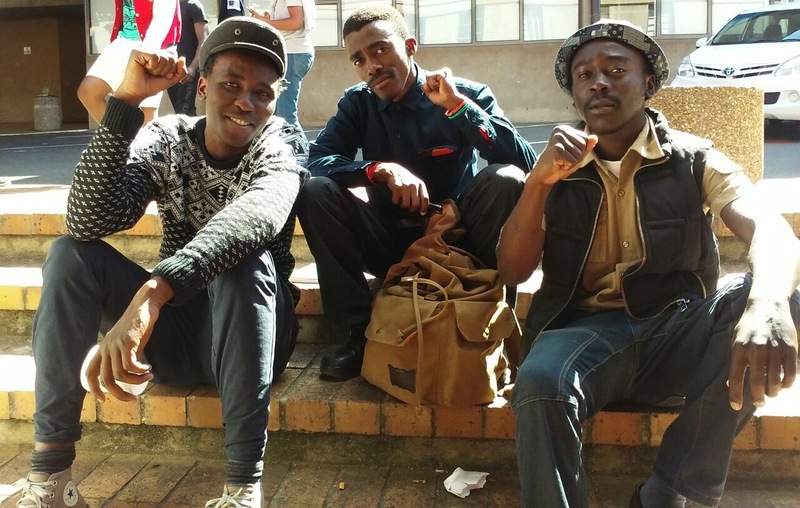 The African Socialist International calls on all African students to turn these institutions into bases for revolutionary organization that will not be limited to student life but will take form outside academic life too. All Power to the people! Black Power to the African community!